If I could be anywhere right now? I had forgotten about one of my favoriteist cartoons and now I donâ€™t think it comes on anymore. 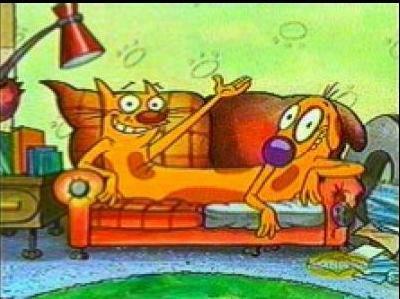 I used to love watching CatDog. I did find a place to sees it online though. I love my cartoon time. I get in my diapers, and bring my blankie and lion in the living room and have cartoon time. It doesnâ€™t really matter what we watch as long as it is silly, and ok for baby Katie to see.